The Parish Council provides Dog Bins throughout the Parish. They are emptied on a weekly basis. 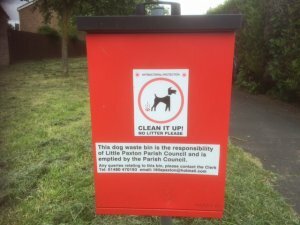 Each Parish Council dog bin has the Council's contact details.